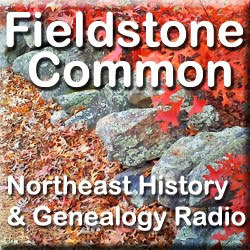 The Northeast House Historian will guide you through the adventure of discovering your historic home. Tips on research, resources and lots more! One of my most favorite activities is discovering old houses that I never knew existed. Unexpectedly coming across an historic house is like getting an extra Christmas present any time of year! 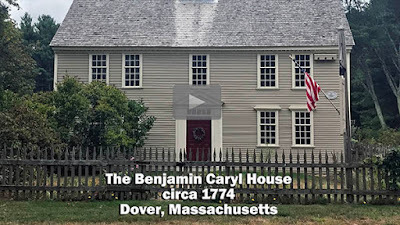 While attending one of my son's soccer games in Dover, Massachusetts I came across the Benjamin Caryl House just across the street from the playing fields. Thanks to a smartphone the unplanned surprise did not go to waste. Let me know if you'd like to see more of these videos! The Caryl House on Dedham Street in Dover, Massachusetts was built about 1774 for the Reverend Benjamin Caryl. Originally thought to be built in 1777, dendrochronology tests proved the house stood since the earlier 1774 date. Benjamin Caryl was the first minister of Springfield Parish, a part of Dedham which later became the town of Dover. The house stood on the spot for 66 years before Dover became incorporated as a town in 1836. The house was home to the Caryl family for over 150 years. Benjamin Caryl's son George, who also lived in the house was Dover's first town doctor. He practiced medicine in town from 1790 until his death in 1822. In 1928 it was given to the town of Dover to be maintained by the Dover Historical Society. The house is a center-entrance colonial and sits on its original lot virtually unaltered. The house was restored in 1975 for the American bi-centennial celebration and was placed on the National Register of Historic Places in 2000. The house is open Spring and Fall on Saturdays. Check the Dover Historical Society website for further details. Marian Pierre-Louis is a house historian who specializes in the historic homes of New England. 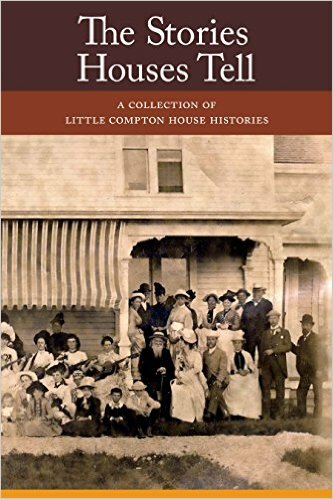 She frequently lectures and writes about house histories throughout New England. 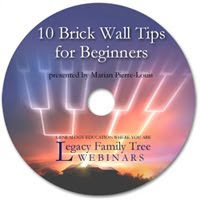 Email Marian with your house history questions. For a schedule of her upcoming talks or to learn more about her work please visit her website. 2012 Copyright Marian Pierre-Louis. All rights reserved.. Awesome Inc. theme. Powered by Blogger.